As my way of thanking you for being a loyal newsletter subscriber, I'm sending you a free gift. Yep, this is hot off the presses and completely revised & updated as of last night. 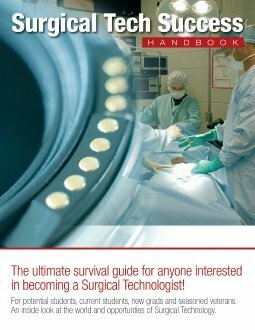 As many of you know, it is only available with the purchase of the Surgical Tech Success Handbook. BUT, if you visit the following page before midnight on Christmas, it's yours completely free, no strings attached! PLUS, you will also have a chance to receive an endorsed copy of the Surgical Tech Success Handbook from me to you.